UserTesting Review 2019 - Get Paid To Test Websites or Scam? Are you looking for new opportunities to earn some extra cash from the comfort of your chair? 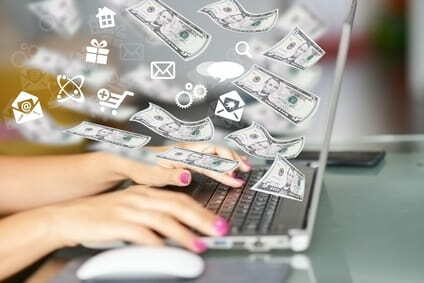 If so, you know that we always post the most recent and accurate information about popular get-paid-to websites. Today, we are reviewing a company called UserTesting. Read our review to see why you should take on this opportunity as soon as you can. UserTesting is a company that helps websites and apps improve their user experience by providing insights and feedback from a number of testers. There are so many websites nowadays, but not all of them offer visitors a world-class experience. You have probably entered a large number of websites and regretted immediately. Low speed, complex navigation, missing links – this is where UserTesting steps in. If you want to be one of the testers who help websites improve their user experience, then this company is the right choice for you. Their registration process is easy and short. After you complete a short sample test, you will have to fill out your demographic information like the country you live in, your age and gender, and so on. First, you receive a website test invitation for the tests that match your profile. Before you start the test, make sure you have read all the instructions properly. When you visit the website you need to test, everything you do on the website (e.g. links you click on) is recorded by the UserTesting online screen recorder. This enables companies to see what you see in order to fix the issues you encounter. Note that your face is never recorded during these sessions. Now, here is the thing – while browsing the website, you need to speak your thoughts aloud into your microphone in order to give comprehensible feedback. One test lasts for 20 minutes, and when you are done with it, you will need to answer follow-up questions in a written form. When you complete the test, the company will receive your feedback and use it to improve their website. For each test you complete, UserTesting will pay you $10. Considering the fact that a test is only 20 minutes long, this rate is pretty satisfactory. Many people have given testimonials about having earned $30 per hour or even more on this website. If you are persistent and patient, you could easily become one of them. However, you need to know that you are not assigned a set number of tests per week. Instead, you receive only those tests which match your demographic. This means that you can’t count on this website (or any other) to be a regular source of income. Once you complete the test, you receive the money seven days later through PayPal. So, if you don’t have a PayPal account, open it as soon as possible. These are only some of the big names they have helped to improve their website user experience. In addition, the company has been praised by the Huffington Post, the Wall Street Journal, and other famous media outlets. We have made a list of UserTesting benefits and drawbacks for all of you who are contemplating the idea to register with the website. Some get-paid-to websites have a long screening process for each survey, but not this one. UserTesting only asks you two to five questions, so you won’t lose a lot of time only to find out that you don’t qualify for the test. You are paid your money to your PayPal account seven days after completing your test. The company is pretty strict about this rule and generally respects it. The amount of money you can earn for 20 minutes’ work is fantastic. It is true that you can’t make $240 a day (8 hours x $30), since you won’t receive that many opportunities, but you can expect to earn about $50 a month. You will need a bit of time to get used to UserTesting tests. You will probably find it strange to keep talking into your microphone without anyone responding. However, after a couple of tests, you will easily master this aspect. If you don’t want someone else to grab a test before you, you need to click on it quickly. It would be wise if you could run the website in the background while doing other activities on your computer. When you receive a notification, it is best to go to the page immediately and click the test if you want to take it. The final drawback is that you have to live in a country which accepts PayPal payments. UserTesting is a great opportunity for all people who want to make some extra money online. The only things you need are a stable internet connection, a computer, and a microphone. And while you can’t get rich doing tests, you will be able to earn some cash for your effort. We recommend you to register with UserTesting today and see what offers they have for you.